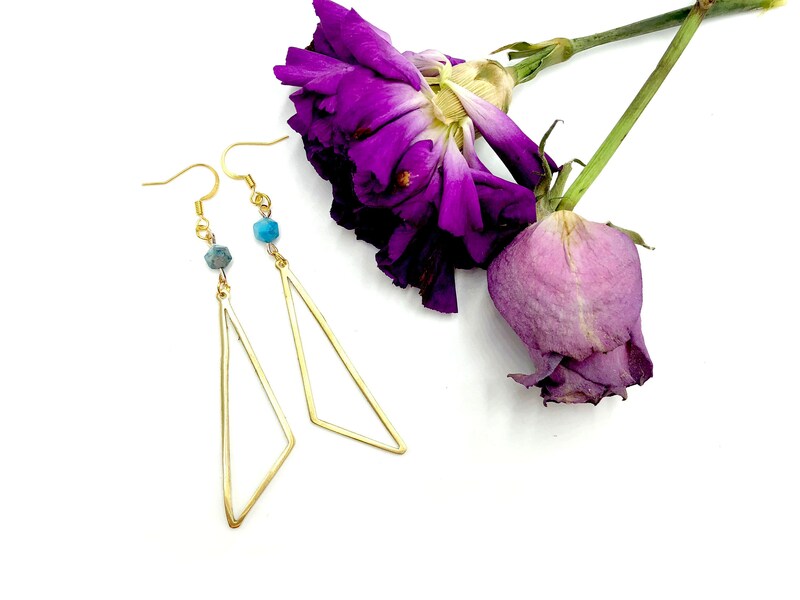 These lightweight and comfortable earrings feature a blue crazy agate stone and hollow geometric charm. Lead and nickel free. Charm is brass and ear wire is stainless steel.